How To Keep An Emotional Eating Journal - Welcome to SarahKesseli.com! I know, I know. You are thinking, “Sarah, you are an Eating Psychology & Intuitive Eating Counselor. Why in the world are you talking about food journals? Don’t you tell us not to track our food?” You would correct. But this message today isn’t about tracking calories or fat grams. Today we are talking about tracking food through Emotional Eating Journals. Why? because food can affect your mood and mood can affect your food! Once you understand How To Keep An Emotional Eating Journal you will be on your way to understanding cravings. Are there certain times of day that cravings strike? What types of foods are you craving? Do certain situations (work, home, etc.) trigger cravings? Do you use food to improve your mood? Once you can identify patterns in your emotional eating, you can then begin to focus on strategies and methods to break any unwanted habits. Tracking the time of day will allow you to see if certain times of the day seem to cause more emotional eating or binge eating. For example, you may notice that you have a tendency to eat more around 7:00 pm correlating with a stressful day at work. 2) What Foods Were Eaten? Tracking the specific foods (not the calories or grams of fat/carbs/protein) will give you an idea of what type of foods you gravitate towards when you emotionally eat. Different types of foods have different meanings. For example, if you are someone who always reaches for crunchy foods such as chips, crackers, and cookies, this could indicate a high level of stress. 3) Where Was The Food Eaten? Are you eating the foods at the dinner table, on the couch in front of the t.v or out at a restaurant? The location of where you eat your food can have a significant impact on the amount you eat and your satiety. Are you enjoying your food with family or friends? Or are you eating alone? 5) What Feelings Are Going On? Are you feeling stressed after a hard day at work? Are you tired from lack of sleep the night before? Or are you having a low body confidence day and you just want to feel some comfort? In this section, I like to have my clients include their hunger level before eating, feelings of satiety after they were done eating and anything else they feel is relevant. Your journal should be a judgment-free space in which you can write down your honest thoughts, feelings, and happenings each time food is eaten. There is no need to feel embarrassed or ashamed about anything you log. You may begin to notice patterns after just a few days, or it may take a week or two. Once the patterns have been identified by you or your coach, then you can begin working on better ways to cope during emotional times. 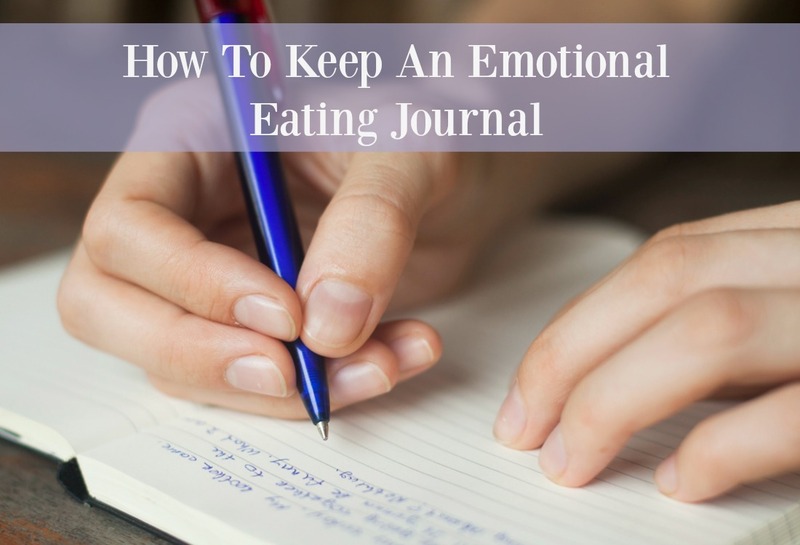 Have you ever kept an emotional eating journal before? If so, how did it help? If not, do you think this is something that may benefit you?